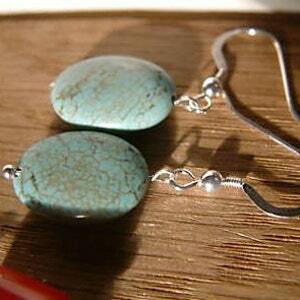 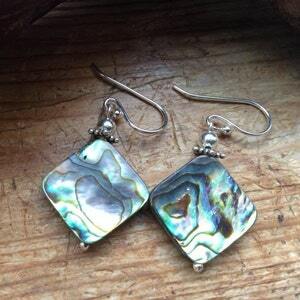 Earrings by 'Designs on Benbecula', with blue turquoise flat ovals. 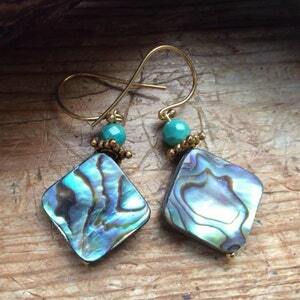 the beads and earwires are gold vermeil, which is real gold on top of sterling 925 silver. 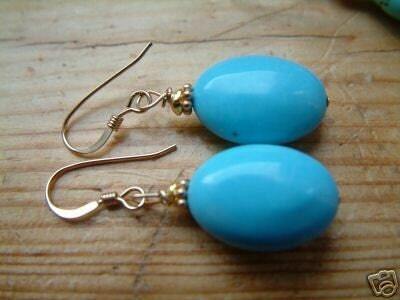 I can change the earwires to leverbacks or solid gold for a small exra cost. 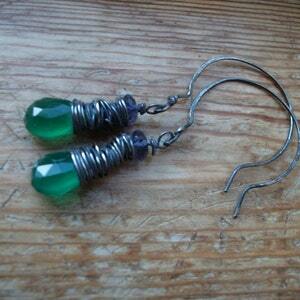 emerald green onyx and Iolite dark silver earrings.